Plus, a 42-year-old Berkeley institution asks its customers for help. Jane Woodman The planned site of The Universal. If you don't think bicycles and coffee go together, you probably haven't spent much time with serious cyclists. As Oakland resident and aspiring coffee shop owner Jane Woodman put it, "That's what cyclists do. They stop at a coffee shop." Inspired by "velo cafes," which she said are especially popular in London, Woodman plans to open a cafe in Oakland's Redwood Heights neighborhood that will combine three of her biggest passions: coffee, cycling, and music. Woodman hopes to raise $50,000 through the crowdfunding site Indiegogo to make the proposed cafe, which she's dubbed The Universal Bistro (4174 35th Ave.), a reality. "It's a lofty goal, but I don't think it's impossible," she said. Woodman explained that The Universal sits on a stretch of Redwood Road and 35th Avenue that's popular with cyclists, who treat the long downhill descent as their reward at the end of a ride through the hills of Oakland's Redwood Regional Park area. According to Woodman, the location is perfect in more ways than one: While Redwood Heights is bookended by two coffee shops, neither is within walking distance of the neighborhood's main residential section, as hers will be. 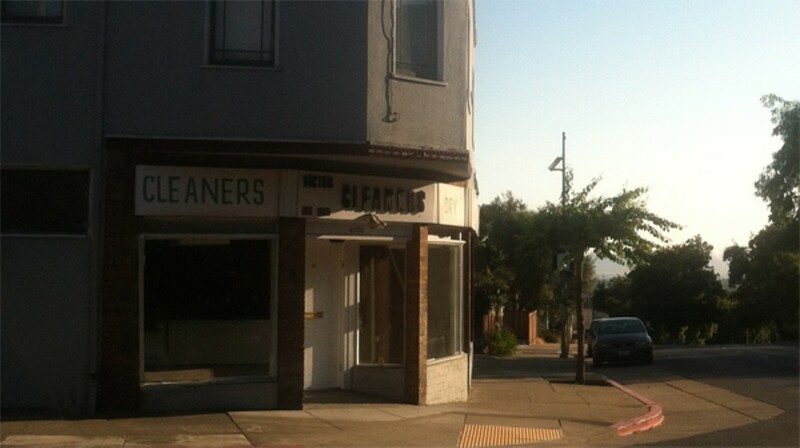 And because Montclair's lone bike shop, Wheels of Justice Cyclery, closed recently, cyclists in the Oakland Hills haven't had a place to call their own. 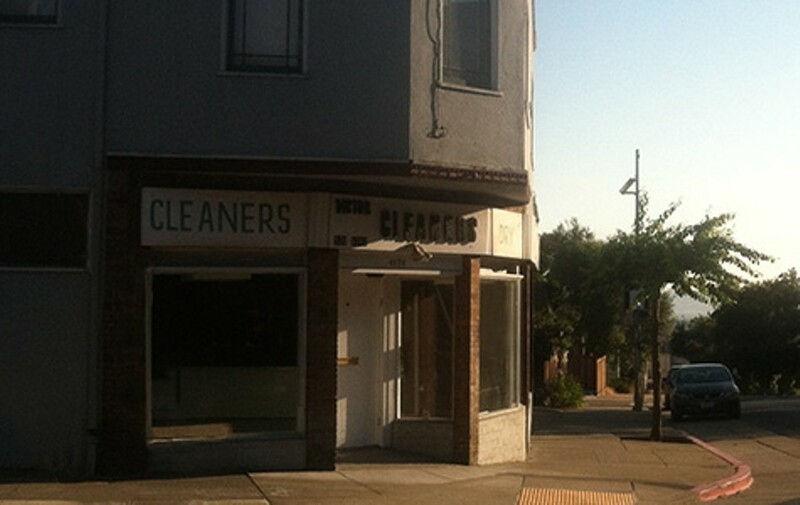 The proposed site of the cafe is a former dry cleaner, and space is limited to just 735 square feet. But Woodman plans to squeeze a lot into those tight quarters: indoor seating for about fifty customers, an area for live music, and — most ambitiously — a small bicycle repair shop. She likely won't have room to sell bicycles, but aside from that, Woodman hopes to offer most of the amenities of a full-service bike shop. "You could buy tires. You could probably get a flat fixed. You could definitely get a tune-up," Woodman explained. Since The Universal will be a coffee shop first and foremost, cyclists will be able to sip on a latte while the mechanic works on their bike. In addition, Woodman plans to sell an assortment cycling food — the special energy gels, jelly beans, and electrolyte-laden hydration tablets that serious long-distance riders pop like candy. For regular folks who just want their caffeinated beverage fix, Woodman will offer coffee from one of the Bay Area's prominent roasters, and she already has a wholesale contract with Samovar, the San Francisco-based purveyor of "third wave tea." Food options will probably be limited to baked goods from a local bakery. Woodman also plans to bring in a variety of live music — unamplified acoustic acts, so as to not disturb neighbors in the apartment building upstairs. Woodman herself is a professional musician, so it's fitting that the cafe's name, The Universal, is a nod to the Blur song. And it's not difficult to imagine the cafe as a happier repurposing of the song's somewhat dystopian lyrics: Yes, the Universal's here, here for everyone. Every paper that you read says tomorrow's your lucky day. Well, [coffee and bicycling enthusiasts] here's your lucky day. The Universal Bistro plans to open in the spring of 2015. Of all the ways you might describe Berkeley's Le Bateau Ivre (2629 Telegraph Ave.) — offbeat brunch spot, romantic hideaway, or the place you go to bang out your Cal thesis — perhaps the most apt is simply this: a restaurant that time forgot. Owner Arlene Giordano worries that some of her customers may have forgotten about it, too. "A lot of people say, 'Oh yeah, we used to go there twenty years ago.'" Now, Giordano said she needs those customers' help to keep the 42-year-old French restaurant afloat. She recently launched an ambitious $60,000 crowdfunding campaign, which she said will allow her to get caught up with bills and to pay for a handful of long-overdue upgrades to the space. Giordano said that for regulars, the appeal of Le Bateau Ivre (whose name means "The Drunken Boat," after the Arthur Rimbaud poem) has a lot to do with the fact that the space feels more like an old house than it does a restaurant. The rustic exposed-brick walls, tree-lined garden patio, and freshly baked cookies all contribute to that effect. And, just like a good friend, Giordano said that she and her staff have never complained if people lingered for the better part of a day. "I know a lot of people have written books here," she said. But business has been tough for the past few years, with the brunt of the recession coinciding with the death of Giordano's husband, Thomas Cooper, who handled most of the restaurant's maintenance. Giordano said she plans to use part of the crowdfunded money to install lights outside, which she hopes will help make it more obvious that the restaurant is open for dinner. She also wants to replace some outdated kitchen equipment, and to make the back room — where the restaurant hosts live music on Wednesday nights — wheelchair accessible. Le Bateau Ivre's Indiegogo campaign, which has raised nearly $6,000 as of this printing, runs until November 13.